https://www.tradingdepot.co.uk/ideal-standard-concept-sphere-38cm-countertop-basin-with-overflow-no-tap-deck 27519 Ideal Standard Concept Sphere 38cm Countertop Basin with Overflow, No Tap Deck - Basin Only - E502301 https://www.tradingdepot.co.uk/media/catalog/product/1/_/1_13_29.jpeg 85.4 85.4000 GBP InStock /Bathroom/Bathroom Suites/Bathroom Basins /Brands/Ideal Standard/Ideal Standard Bathroom Ranges/Ideal Standard Concept Range /Brands/Ideal Standard/Ideal Standard Basins and Pedestals/Ideal Standard Concept The Ideal Standard Concept E502301 is part of the Ideal Standard basins range to buy online. The Ideal Standard Concept Sphere range offers hotel-chic style perfect for creating a relaxing, tranquil bathing space. formed of a soothing circle, it is design for the discerning. A range of basin sizes, pedestal and furniture options provide you with endless possibilities and for ultimate luxury the pure round vessel creates a feel of the luxury spa at home. Ideal Standard is the leading household manufacturer offering a huge choice of household bathroom products to suit your space, style, budget and needs. With over 100 years in bathroom sanitaryware, Ideal Standard’s product range offers quality designs for your dream bathroom. 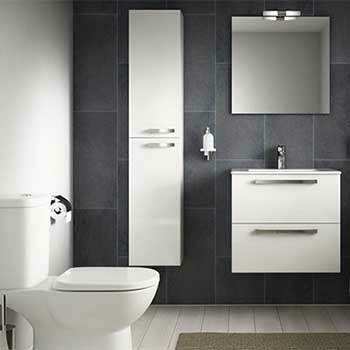 As leading suppliers in bathroom products, the wide range of sanitaryware available add a traditional and contemporary design with inspiration for many collections within your bathroom design. Ideal Standard’s range of products has been at the forefront of bathroom design for over a century with innovative and dynamic designs for many solutions to suit your needs. With a wide range of bathroom products, Ideal Standard offers the perfect addition for personal bathrooms and commercial spaces. Adding Ideal Standard’s bathroom range is a perfect addition with products defining innovative bathroom spaces personal to the renovations style.